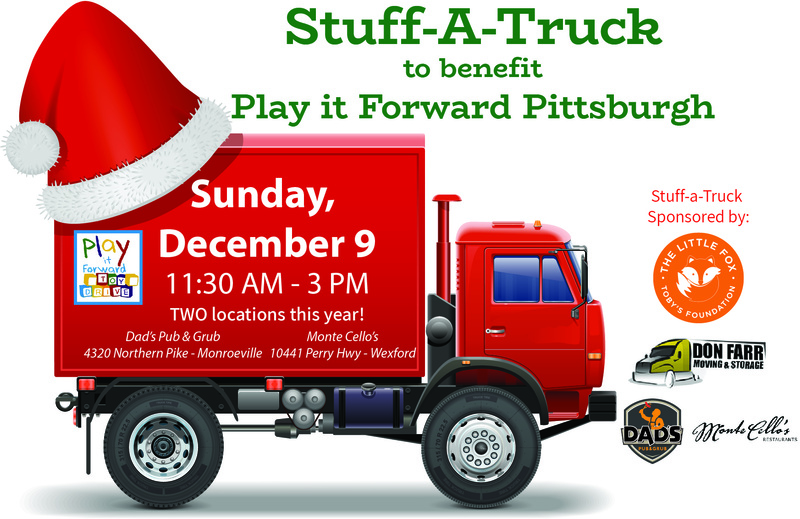 Join The Little Fox – Toby’s Foundation for our third annual Stuff-a-Truck event to benefit Play it Forward Pittsburgh! This event will supply gently-used and new toys to one of the largest toy drives in Western PA so that families, caregivers, neighbors, teachers can pick out toys for children who are less fortunate during the holiday season. We started hosting this event in 2016, just four months after Toby died, as a way to spread his joy to other children in our community during the holidays. We have been overwhelmed by the number of families and organizations that have participated and are excited to see our event grow to TWO locations in 2018! 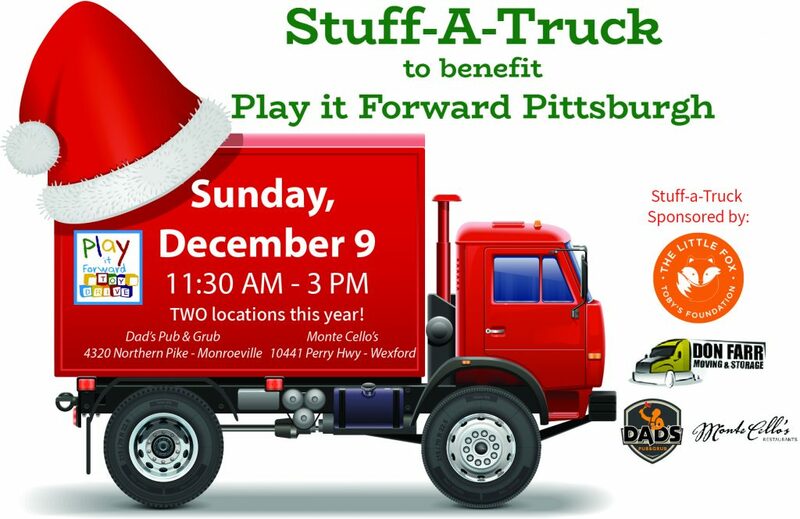 As you start to prepare for the holidays and clean out old, unused, or outgrown toys, please consider putting them aside to donate to our Stuff-A-Truck event on Sunday, December 9. Are you interested in volunteering at one of our TWO Stuff-A-Truck locations on Sunday, December 9? Click the link below to register for a time to help us unload cars and pack our 24ft trucks! Thank you to our location sponsors: Dad’s Pub & Grub in Monroeville, Monte Cello’s in Wexford; our truck sponsor: Don Farr Moving and all our volunteers! Let’s pack these trucks full of gifts! Any questions, please email: thelittlefoxfoundation@gmail.com.